The social media is inundated with messages expressing grief and shock over the tragìc news of the death of the musical icon Hugh Masekela. He passed away today in a Johannesburg hospital after a lengthy battle with prostate cancer. Masekela was 78-years-old. 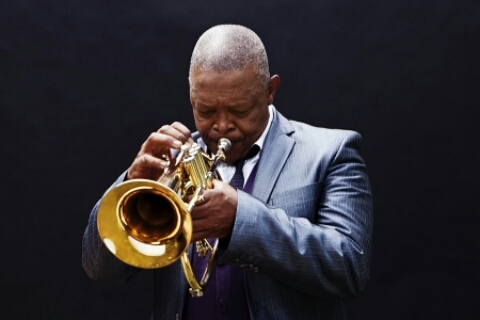 Hugh Ramopolo Masekela was born on the 4th of April 1939 in Kwa-Guqa Township, Witbank in South Afrca. His romance with the trumpet commenced at the tender age of fourteen after watching the film ‘Young Man with a Horn’. He has released almost fifty albums to date with several hits. ‘Grazin’in the Grass sold over four million copies. The multi-award winner has worked with many Jazz artists and was once married to the late Queen of SA music Miriam Makeba. The singer and composer did not only play the trumpet but, the trombone and the cornet as well among others. He had been battling with cancer since 2008.